Despite the fact that Vladae learned about the different animal behavior in his childhood and by working with different animals, he took a serious approach to academically studying animal behavior in school. 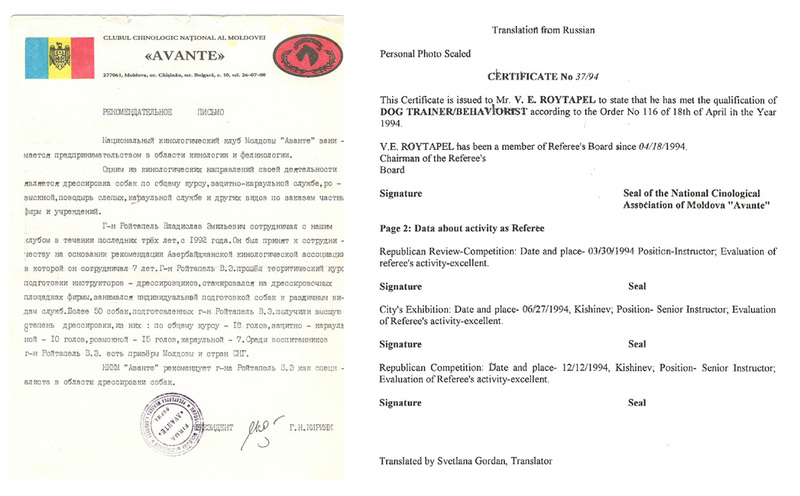 Vladae graduated from a prestigious and private dog training school called, "Avante". 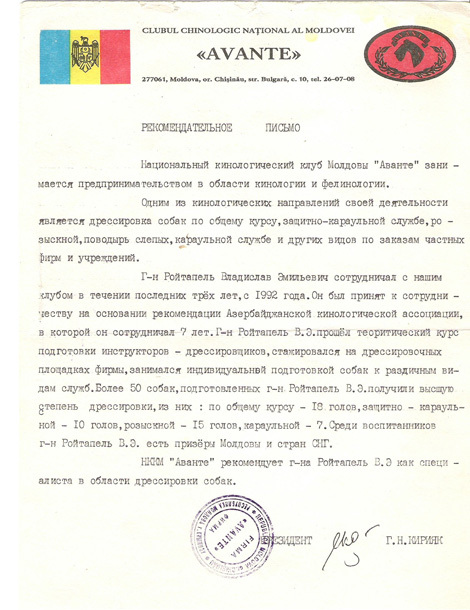 "Avante" is in the state of Moldova in the former Soviet Union. 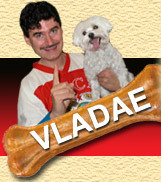 Vladae studied techniques that were both known and unknown in the west, including the research of behaviorist Pavlov. He also studied other Russian and foreign scientists along with animal behavior researchers such as Peter Kropotkin, Konrad Lorenz, and others. He was intensively coached how to train dogs for 12 different types of special training, including: dogs for the blind, dogs that can search for petroleum and underground gas, and dogs that find missing people caught in a catastrophe.